The mission of the Downtown Development Authority (DDA) of Delray Beach, Florida is to enhance and stimulate economic growth through varied position marketing activities that will engage Downtown businesses, residents and visitors. The DDA’s ultimate goal is for sustained and progressive development that will benefit business, residents and visitors of Downtown Delray Beach.VUP Media has been fortunate to work with the DDA to help market and promote the Downtown district, its neighborhoods, and business merchants as seen through the downtowndelraybeach.com website, print, television, digital media, as well as the Inside Delray Beach video series, and event programs such as Savor the Avenue, Delray Beach Fashion Week, and Dine Out Downtown Delray Restaurant Week to name a few. Recently, we launched the DDA’s newly redesigned website, which serves as the information hub for all things Downtown Delray Beach. Its responsive design features media rich content, social media feeds, video feeds, resources for visitors, investors, developers, residents and merchants as well as an expanded directory showcasing each of the Downtown businesses–a significant enhancement and upgrade in exposure for them. Downtown Delray Beach merchants can now take advantage of the enhanced exposure on their very own landing page and feature photo galleries, videos, social media feeds, events, promotions, entertainment, happy hour and late night hours –all of which appears dynamically throughout the site in addition to their landing page. The site allows them to showcases comprehensive, dynamic, aggregated content in multiple spaces. Our end goal for this project was to ensure the DDA website featured the latest, best technology and enhanced the presence of their stakeholders to the digital world, ensuring an optimal user experience, and ease of use for those updating the website! Permission-based roles were implemented, allowing for individualized access to select information for updating—including merchants having access into their individual landing page to updating their information whenever needed. VUP Media conceptualized and produced a series of broadcast television commercials as well as a long format video series, entitled: “Inside Delray Beach”, each of which showcase Downtown Delray Beach, Florida’s shopping, dining, nightlife, lifestyle, health and wellness, arts and culture, and more. Each year we’ve filmed and produced each of the annual event promotions sponsored by the DDA, including Delray Beach Fashion Week, Dine Out Downtown Delray Restaurant Week, Savor the Avenue, and more. As part of the Delray Beach Downtown Development Authority initiative to GROW its Downtown business community, VUP Media and the DDA have partnered to offer each merchant within the Downtown district the opportunity to take advantage of the Business Profile Video opportunity. As part of the VUP initiative, the VUP Media Team has filmed business profiles of local area businesses that tell their story and share it across multiple platforms including online, socially, and more! 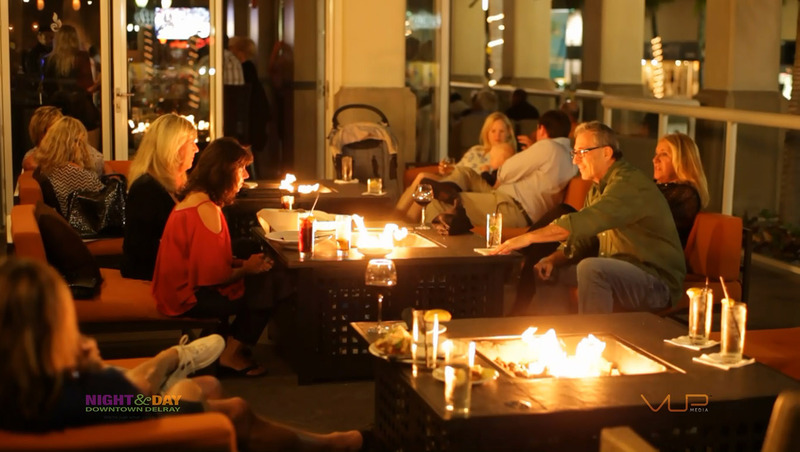 Each year, Downtown Delray Beach hosts its annual Delray Beach Fashion Week! Featuring runway shows, in-store designer events, nightly fashion events, and trunk shows. Our Team was happy to capture the full line of events and produce content for the amazing digital video walls during each event. The VUP Media Team is excited to present the Delray Beach Downtown Development Authority‘s 7th Annual Savor the Avenue highlight video! 1,200 people joined to have dinner together at the longest dining table ever which stretched five blocks across Atlantic Avenue! We captured locally featured restaurants, their specially crafted four-course dinners, and unique table designs. All proceeds from the event were donated to Delray’s Campaign for Grade Level Reading to assist in funding for books and tutoring programs. We had a blast filming this endless dinner party event!